You are going to create your own Buddhist Mandela. Ask your teacher for an outline for your Mandala. You are then going to create your own ‘world of beliefs’. 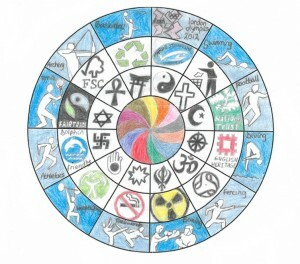 Within your Mandala you will need to introduce symbols for at least four world religions and explain what they mean. 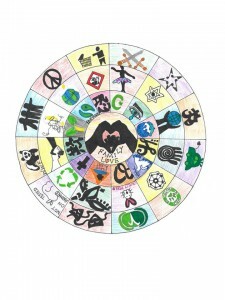 You will also need to create your own symbols to show what is important to you in your life. 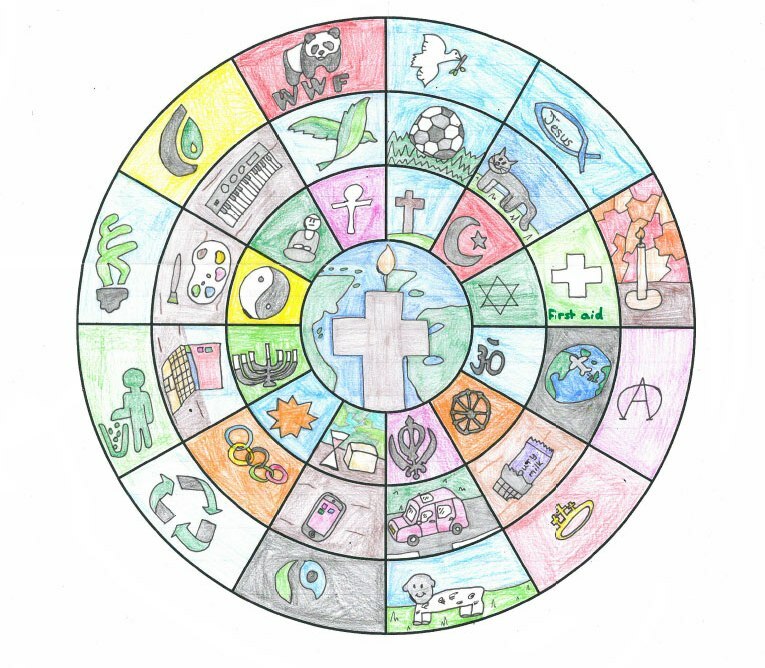 You will also need to look at world issues such as the environment, world wild life issues etc and use symbols to introduce these ideas. Make sure that your Mandela is very attractive to look at. You will need to create a grid and number all your symbols and explain what they all mean to you in order to pick up a high level. Click on the link below if you want to have a look for specific religious symbols. Below are examples of previous home works. Level 3 – Use a variety of symbols. Describe the symbols you use and explain why you have chosen them. 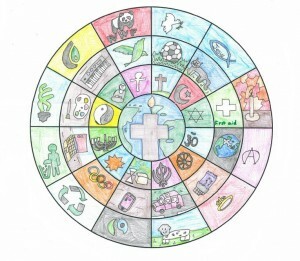 Level 4 – Use a variety of well chosen symbols. 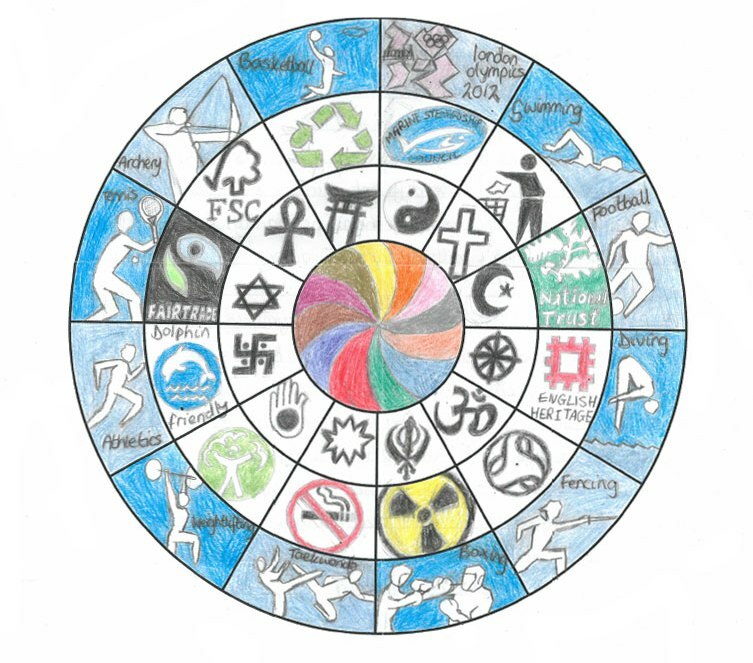 Describe their meaning by using personal ideas and by referring to different religions and worldviews. Level 5 – Use a variety of well chosen symbols, showing some originality in your ideas and designs. 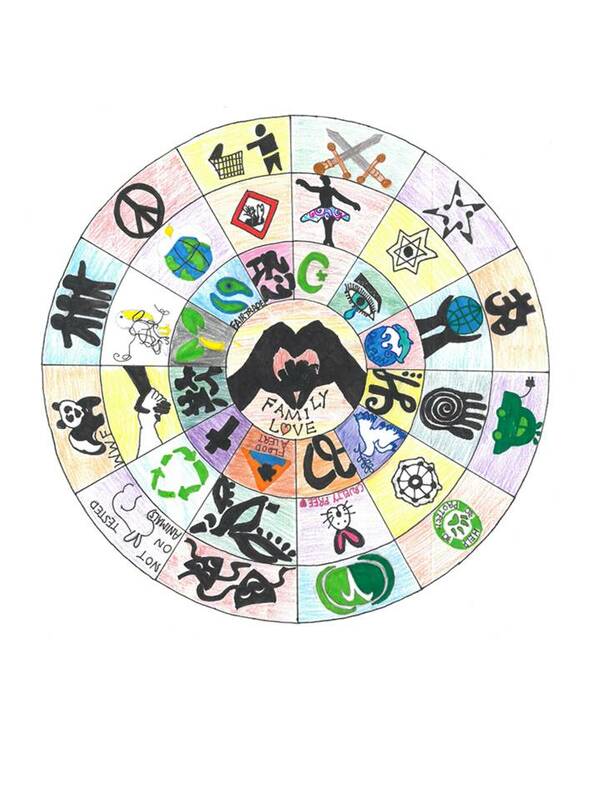 Explain the meaning of the symbols by not only using your personal experiences but also referring to the wider community and world issues. 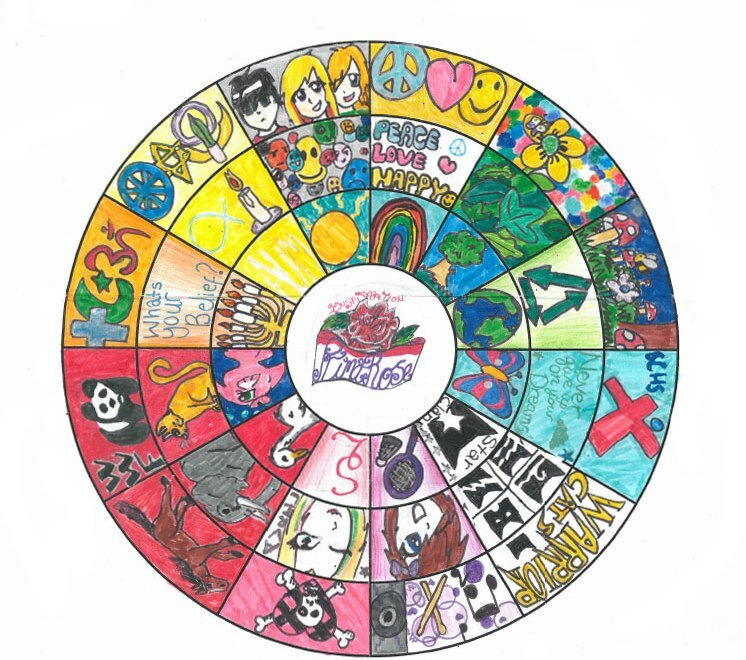 Level 6 – Use a variety of well chosen symbols, showing originality in your ideas and designs and giving examples from several different religions and worldviews. Show how the symbols can be interpreted in different ways.